With All Hallows Eve just around the corner we’re looking at spooky destinations, creepy cruise ports and terrifyingly haunted places you can visit for some Halloween fun. Or avoid, depending on your scaredy-cat scale. This phenomenal landmark towers over London’s River Thames attracting visitors from all over the world. Now a World Heritage Listed site, the grounds have a history dating as far back as 1067 and have served as a royal residence, treasury, menagerie, prison and more. Spanning almost a thousand years of history, it is unsurprising that many ghoulish ghost tales have been associated with the tower. 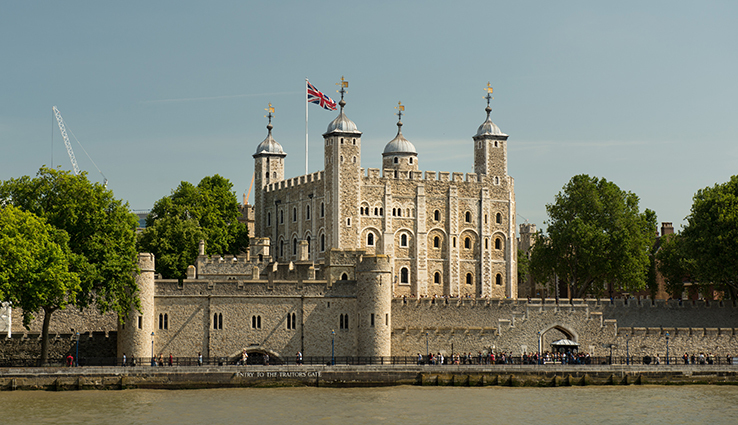 Take a trip to the Tower of London and hear about the macabre murder of Henry VI, Traitor’s Gate, the 16th century dungeon and even the legend of a phantom grizzly bear. Spot the six resident ravens during your trip, legend tells that if they ever leave the grounds the kingdom and tower will fall. Spend some time seeing the sights of London before departing on a cruise from Southampton or Tilbury. Once the home of American Socialite Oliver Belmont, Belcourt Castle has since changed hands several times and been used for varying purposes including the housing of military equipment during World War II. In 1956 the Tinney family moved in and remained residents for 56 years. During their time at Belcourt they reported multiple paranormal activities and strange occurrences. Enough for Harle H. Tinney to write an entire book entitled - The Ghosts of Belcourt Castle. Popular Sci-Fi show Ghost Hunter also visited Belcourt and recorded audio evidence of ghostly footsteps in their season five episode. Visit Newport on a cruise to North America. Salem is a city in Massachusetts often discussed at Halloween due to the widely known 1692 Salem Witch Trials. An infectious hysterical panic saw the persecution, conviction and deaths of many Salem residents feared to be witches. The accused were trialled and sentenced by a special witch court. The Salem Witch Trials ended in the seventeenth century when the Massachusetts General Court ruled against the use of “spectral evidence”, however it was too late for some. 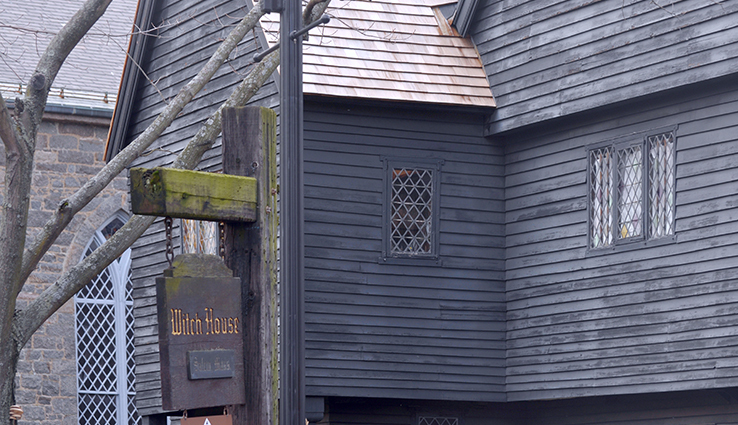 Less than an hour’s journey away from Boston, Salem holds a haunted history and a dedicated witch museum. RMS Queen Mary set sail on her maiden voyage for Cunard in the spring of 1936 and provided opulent luxury cruises to the rich and famous for three glamourous years. A victim of the times she temporarily retired from her days of luxury cruising to service the armed forces during World War II. Stripped of luxury and painted a camouflage grey she was unfortunately nicknamed the “Grey Ghost”. Queen Mary resumed passenger service in 1947 until she ended service completely in 1967 and has been homeported in California ever since. Transformed into a hotel and attraction, visitors can stay onboard and learn of the many haunting ghost stories surrounding the ship. From Winston Churchill’s haunted stateroom to swimming pool ghouls, there is a terrifying tale at every turn. 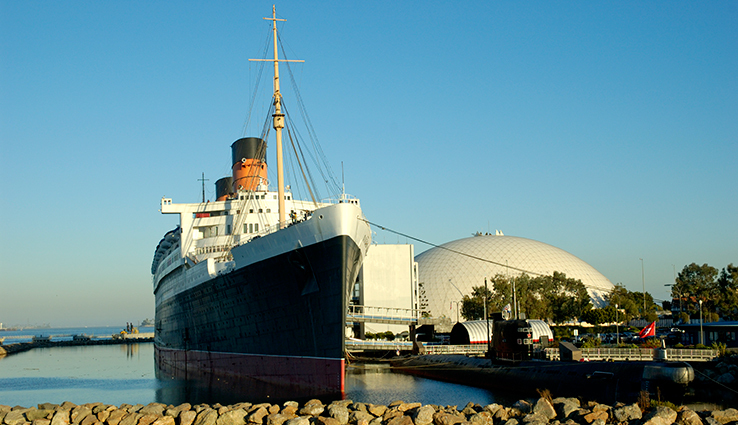 Find Queen Mary permanently moored on Longbeach in Down Town Los Angeles. 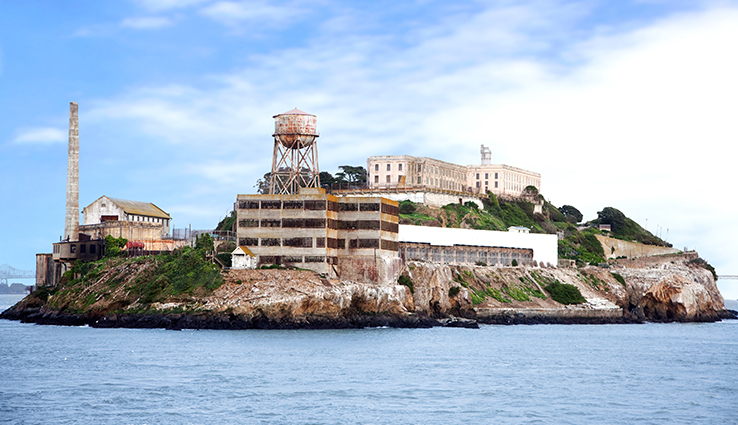 Feel the genuine fear factor when you take a trip to Alcatraz Island in San Francisco Bay. The entire island hosts San Francisco’s chilling federal maximum security prison known as “The Rock”. Alcatraz prison remained operational for nearly thirty years incarcerating some of America’s most hardened criminals, including Al Capone aka Scarface. Today the prison is a soulless museum and visitors can learn about the many failed attempts of desperate prisoners trying to escape the island. Experience the chills of Alcatraz on a shore excursion, when you take a cruise visiting San Francisco. Not for the fainthearted, the eerie Les Catacombes in Paris present a maze of tunnels housing the remains of countless deceased Parisians. The remains were unearthed in the late eighteenth century and transferred to the Catacombes (20 metres underground) to resolve an overcrowding problem in Parisian graveyards. The bone chilling ossuary consists of 2km of dark and dimly lit tunnels, some with spectacular arrangements of bone displays. The Catacombes are open to the courageous adult public with descriptive audio-guides available for rental. Experience the spooky side of Paris on a cruise itinerary featuring La Havre. The Rocks is a bright, bustling precinct of Sydney Harbour, but it wasn’t always a home for high spirited locals and tourists. 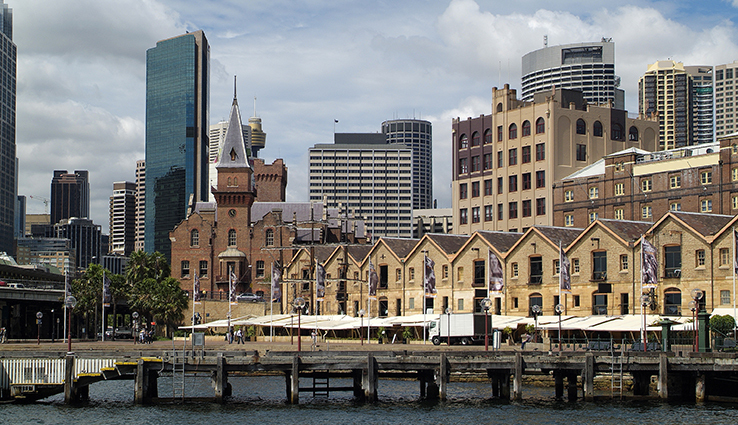 The harbour location meant that during the eighteenth century it was rife with damned convicts and sallow souls arriving to construct Sydney’s well-known convict settlement. Many of the historic cobbled streets and buildings still remain to this day, and those wanting to know more concerning the unnerving history of The Rocks can do so with a lantern lit walking tour. 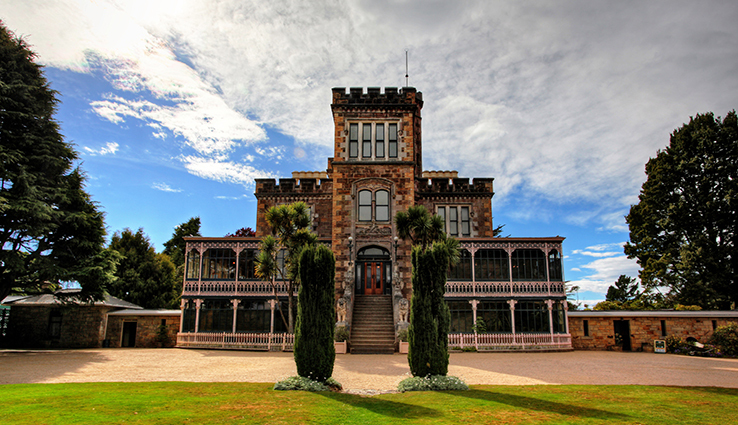 Dunedin is an attractive coastal city of New Zealand’s south island exhibiting an undeniable Scottish influence. With a heritage stemming from Maori and Scottish settlers, the city has an interesting and eclectic history. Which is probably why the Dunedin North Cemetery is believed to be one of the most haunted in the world. With so many souls (plenty famous) calling Dunedin Cemetery their home, ghost stories manifest in the grounds and tours are a creepy common occurrence. You can find here the Lanarch Tomb, legendary home to the ghosts of Lanarch Castle, another of Dunedin’s spooky local haunts.